Older Puerto Ricans living in the continental U.S. suffer from higher rates of diabetes, obesity, cardiovascular disease and depression compared to non-Hispanic White populations. Complex diseases, such as these, are likely due to multiple, potentially interacting, genetic, environmental and social risk factors. Presumably, many of these environmental and genetic risk factors are contextual. We reasoned that racial background may modify some of these risk factors and be associated with health disparities among Puerto Ricans. The contemporary Puerto Rican population is genetically heterogeneous and originated from three ancestral populations: European settlers, native Taíno Indians, and West Africans. This rich-mixed ancestry of Puerto Ricans provides the intrinsic variability needed to untangle complex gene–environment interactions in disease susceptibility and severity. Herein, we determined whether a specific ancestral background was associated with either of four major disease outcomes (diabetes, obesity, cardiovascular disease, and depression). We estimated the genetic ancestry of 1,129 subjects from the Boston Puerto Rican Health Study based on genotypes of 100 ancestry informative markers (AIMs). We examined the effects of ancestry on tests of association between single AIMs and disease traits. The ancestral composition of this population was 57.2% European, 27.4% African, and 15.4% Native American. African ancestry was negatively associated with type 2 diabetes and cardiovascular disease, and positively correlated with hypertension. 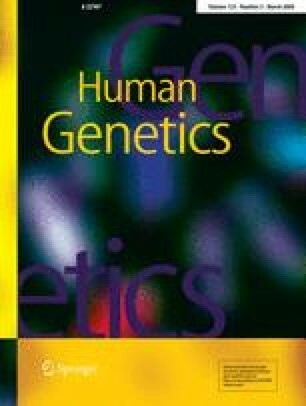 It is likely that the high prevalence rate of diabetes in Africans, Hispanics, and Native Americans is not due to genetic variation alone, but to the combined effects of genetic variation interacting with environmental and social factors. The online version of this article (doi: 10.1007/s00439-008-0612-7) contains supplementary material, which is available to authorized users. This study was supported by the National Institutes of Health, National Institute on Aging, Grant Number 5P01AG023394-02, NIH/NHLBI grant number HL54776 and HL078885 and contracts 53-K06-5-10 and 58–1950-9-001 from the U.S. Department of Agriculture Research Service.